Thank you to the family and friends of David John Kangas, who have donated to Sacred Rok in his memory. Dr. Kangas received his PhD from Yale University in philosophy of religion, and was an Associate Professor of Philosophy at Cal State Stanislaus. An avid mountaineer, hiker, and skier, he loved Yosemite. When he passed away in September 2016, his family asked that donations be made to Sacred Rok in his name. We are honored and grateful. Executive Director Ron Kauk along with Board member and former Superintendent at Pinnacles Steve Shackelton have led several trips to Pinnacles National Park for incarcerated youth in San Benito County. Here are some of their reflections. Being out in nature reminds of life before I started getting locked up. ” Peacefulness.” That peace is still there… if you have the desire to go out and find it. When I first went I was afraid. I thought differently about life when I was at Pinnacles. I felt like I was escaping from my problems & it felt good to get a little bit of freedom. Nature is so beautiful, Pinnacles is such a peaceful place to be at & let go of problems. It cleared my mind. My favorite part was that I actually made it, without giving up! At first I wanted too… But I put my mind to it and did it…… So now I know if I put my mind to something…… I can make it in Life! I felt free yesterday… I felt like we were back in time when our ancient brothers walked the earth. I realized that, in life… when you put effort in good behavior, good stuff happens to you. Everything has a story, water, rocks, animals and humans… we all learn from one another. The “Go Day” – The Day I went to the hiking at Pinnacles was Heaven to me. I loved it. It made me think about life. Being out there, in the mountains, climbing high in the rocks, getting a beautiful view of everything… The reason I’m calling this “Go Day” I because I never thought I was going to go hiking at Juvenile Hall and because we were stomping and stomping our way to the top… Me personally, I didn’t want to stop! I wanted to keep going and going… How much I love being out there! Hopefully, I will be gone when the next group of kids makes the trip…. Maybe they will realize what can be accomplished. 2016 EXPLORE FUND GRANT AND MORE! 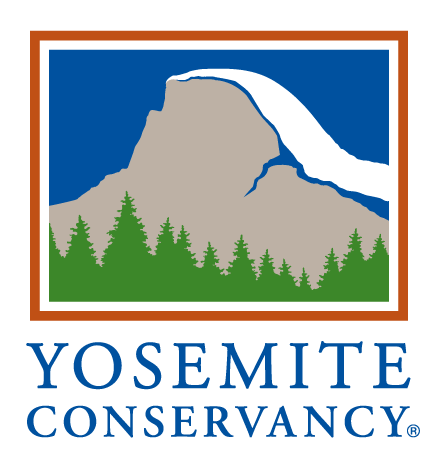 Sacred Rok is happy to announce that the North Face Explore Fund has awarded our Youth in Yosemite program 2016 grant. This grant will be extremely influential in helping us to fulfill our mission of supporting youth in nature, helping youth to learn to respect nature and through that, to respect themselves. We thank you all for your continued help and support.